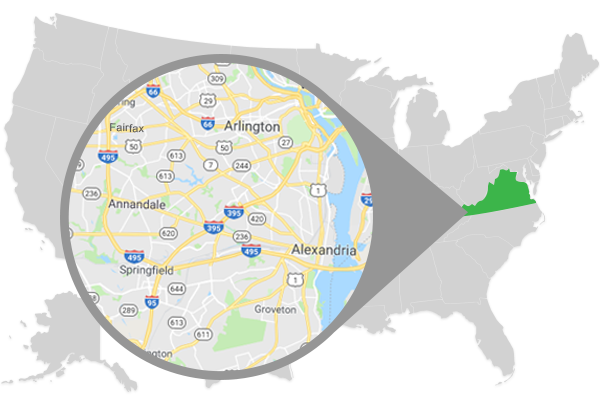 For over 30 years, Summit Waterproofing VA has been serving the residents of Northern VA including Fairfax, Alexandria & Arlington, VA. We also serve Washington DC and parts of Maryland. In Maryland, we serve Prince Georges, Anne Arundel, Montgomery, Charles, and Saint Mary's Counties. We have continued to grow throughout the years by constantly studying the latest and best products available for basement waterproofing. When we’ve seen weaknesses in existing technology, we've built our own. The company’s founder holds several patents for innovative basement waterproofing technologies that are now used all over the world. We are proud to have the most highly trained team in the business, including the most Certified Waterproofing Specialist (CWS) professionals of any company in the Northeast. You can also rest assured that you will not be oversold because our project managers are trained to provide solutions that best meet your needs and budget. Over 30 years of experience and reputation in Fairfax, Alexandria & Arlington, VA – we are a company you can trust. Locally woman-owned and operated. We are SWaM Certified and a DBE business. We offer the most advanced waterproofing products available. Pioneer’s founder, Steve Andras, personally developed a patented basement drainage process called GrateDrain™. The most certified waterproofing specialists (CWS) in the Northeast. Our 4 certified basement waterproofing specialists are available to address even the most challenging basement and crawlspace issues. Expertly trained project managers who design best-in-class systems and oversee every Summit Environmental Solutions project. We are Basement Health Association members. Contact Us! or call us at 703-832-4949 for a Free Estimates!